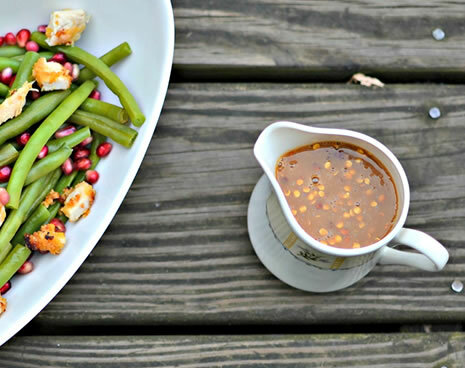 This peanut sauce is delicious with chicken. You can dip chicken tenders, lettuce wraps, or chicken skeweres into it, or make this green bean chicken salad with it. It could also be a good alternative dipping sauce for these summer rolls. Put the peanut butter in a small saucepan and turn the heat on very low. The peanut butter will start to soften. Stir it a little to make sure it doesn't stick to the bottom of the pot and burn. Slowly add in the vinegar, soy sauce and water, one tablespoon at a time. Mix in one direction. Add the garlic powder, red pepper flakes, sugar and honey. Mix until all ingredients are thoroughly combined. Turn off the fire.